Collins Booksellers - Action, Spirituality, and Achieving Spirituality: A New Way to Live by John Anthony, 9781533788382. Buy this book online. There are many ways people try to get sober, but one is effective - getting out of one's self-centeredness and elevating to a state of humility and grace. This book is written for those of us who are trying the 12 steps, but who are having a hard time with the spiritual aspect. John Anthony argues that you don't have to fight it, nor do you have to believe anything. 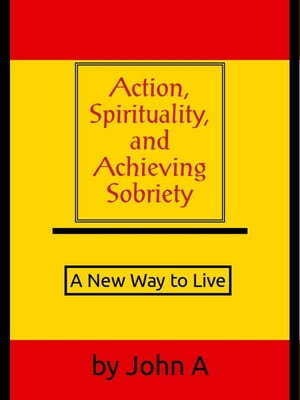 What is necessary is taking the actions required to get sober.